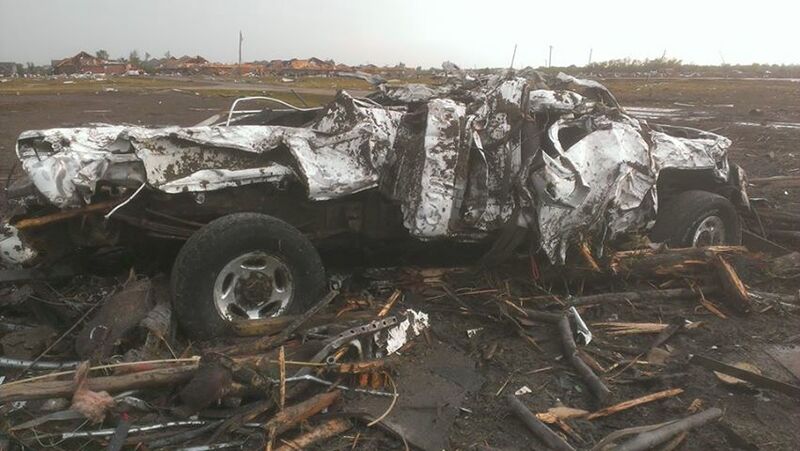 Rain and hail batter the tornado ravaged area in Oklahoma Tuesday as victims try to pick up what remains of their lives. 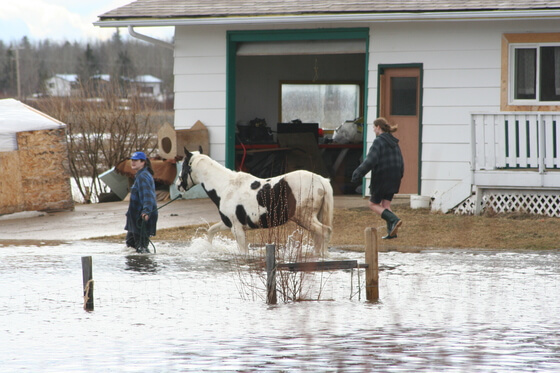 Despite the bad weather and devastation, the Orr Family Farm reports 34 horses survived the massive storm. 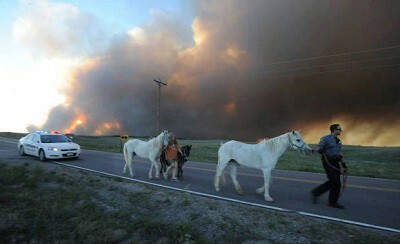 The survivors include the farm’s four ponies used for pony rides. The petting zoo animals in the Animal Barn also made it through, according to farm spokesman Tony Vann. 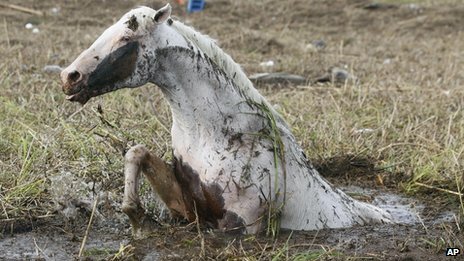 One of the farm’s workers could be credited with their survival since he risked his own life to let them out of their stalls before he ran for cover. 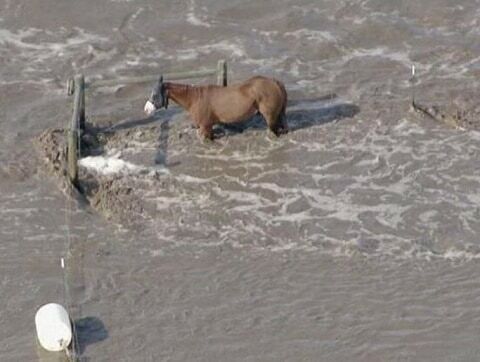 Plain as Bay Eventing owner, Lindsay White, lost the 12 horses she boarded there. She and her boyfriend, Randy Weidner, a quarter horse and thoroughbred racing trainer, also lived in an apartment in the stable. Their truck (below) and horse trailer were reduced to piles of rubble. “We have nothing except the clothes on our back. We left with my car and our three dogs,” says White. 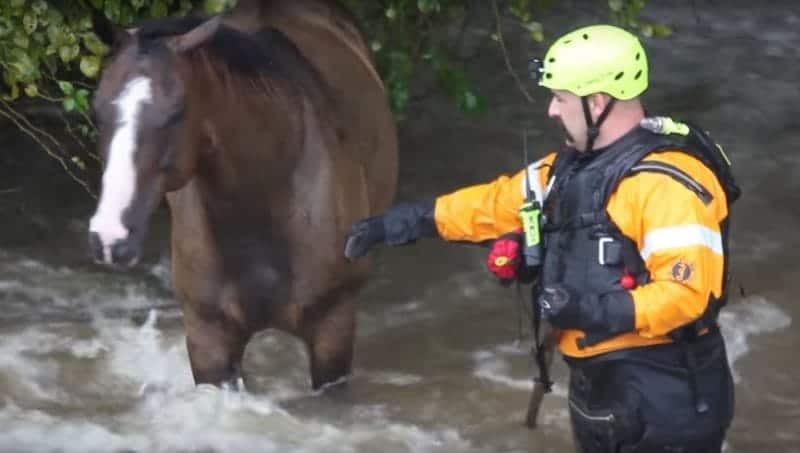 While she says they wanted to load some of the horses, passing storm chasers told them if they didn’t get in their car and go right then – they would die. 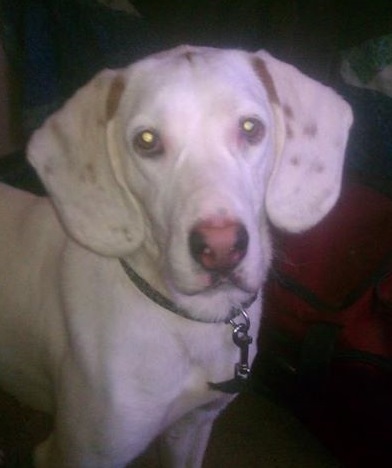 One of their dogs, Rusty, did get left behind. They got the first good news they’ve heard since Monday, that he may have survived. Now they wait to see if those spotted ears will come back to piece together their broken family. 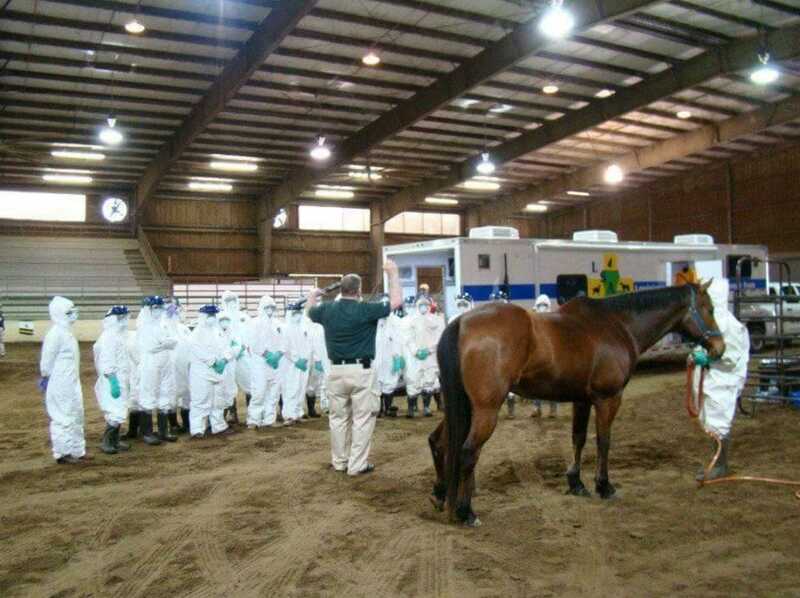 White says there are at least 100 horses dead in the area, but it was hard to identify them. Horses lived at two farms adjacent to the Orr property. 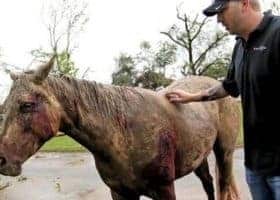 She says some horses haven’t been located, which shouldn’t be surprising since the high winds tossed one horse into a neighborhood about two blocks away. They start the journey with the clothes they were wearing when they barely escaped the storm’s rath. If you’d like to help, you can send a donation through Paypal to rwquarters@yahoo.com. 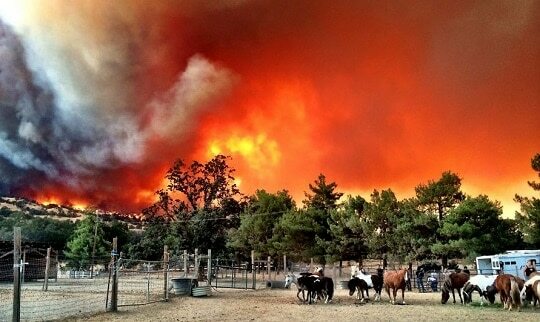 The Randall Weidner Catastrophe Trust has also been established through Wells Fargo Bank. 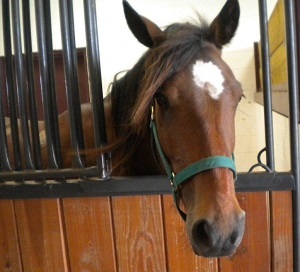 Vann says, “everyone has been very generous with the offers of tack, hay, and assistance. We feel so blessed, but we don’t need it now.” He says if you’d like to help leave a message at 405-283-2258 and when they can accept it, they will call those who left messages. A Paypal account titled Orr Family Farm and RR Company is being utilized to accept donations. This is the only confirmed fundraiser for the Orr Family Farm, according to Vann. 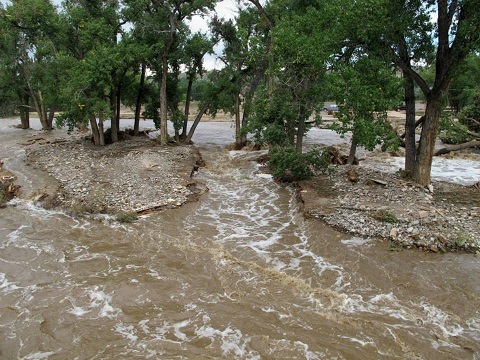 Currently authorities are not allowing anyone into the area so rescuers can work. Experts say it is important to remember once you are allowed into the disaster area, do not be surprised if those who survived are in shock. When working, wear heavy gloves and boots because the risk of cuts and infection is great. Also important is your camera, especially when documenting lost animals or damage for insurance. 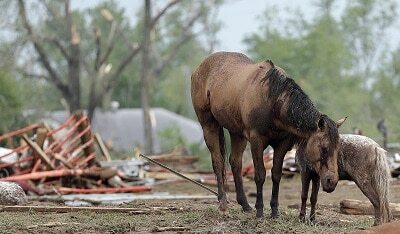 OKC Lost & Found Pets is the official site for helping owners reunite with pets displaced from the brutal storm. Fraudsters will also be out there looking to take advantage of those wanting to help and victims. It is important to give to charities you research (what percent of funds go to victims), know about (The American Red Cross – text REDCROSS to 90999) or are designated as officially going to a specific victim. 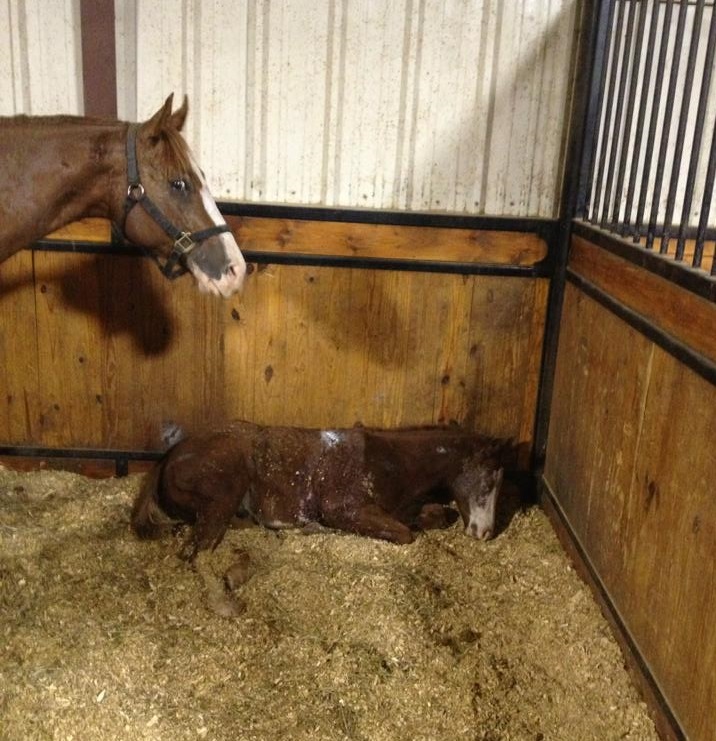 This foal is reportedly receiving care at the Equi-Center in Norman from Dr. Mike Wiley and his staff. 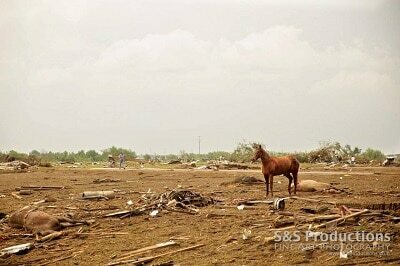 The Oklahoma Veterinary Medical Association offers excellent resources for pet and livestock owners and has established a disaster relief fund for the victims of the Moore tornado. 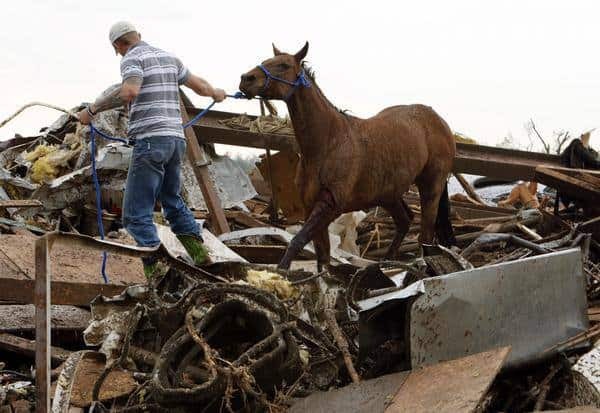 Oklahoma State University’s Center for Veterinary Health Sciences is also offering care for animals injured during the storm. Call 405-744-7000 to arrange for care or you can donate online to help defray the costs. 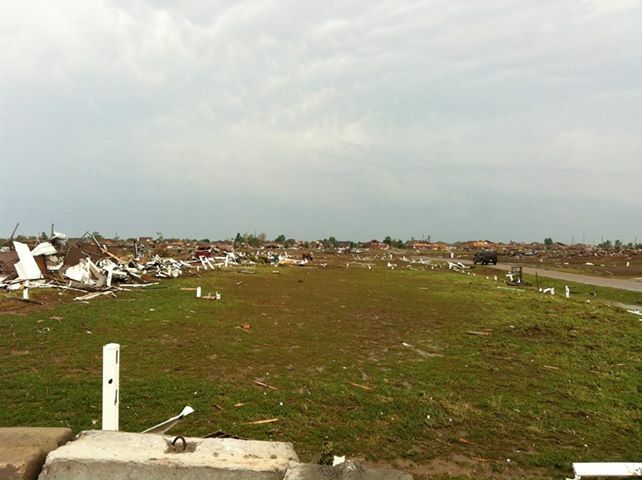 Leg-Up has also established an Oklahoma Tornado Assistance Funding program. 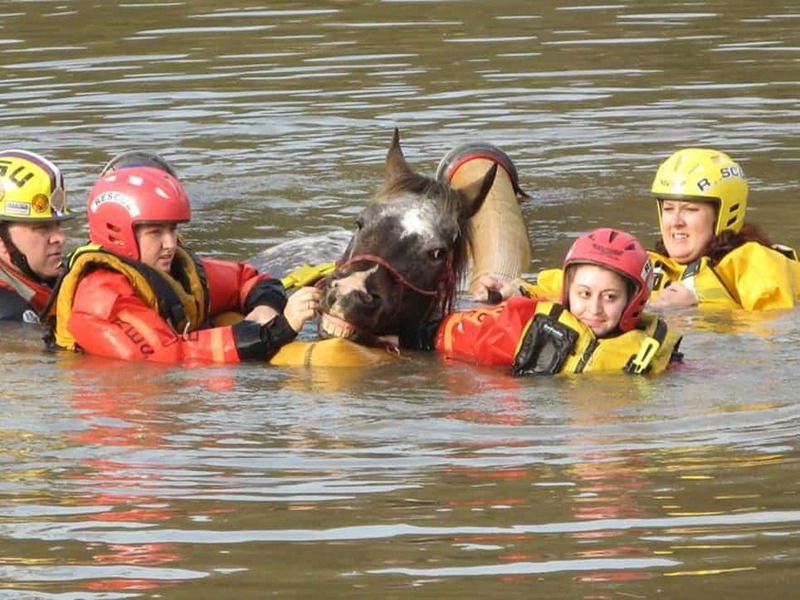 Stay with Rate My Horse PRO as we bring you the latest from this story.